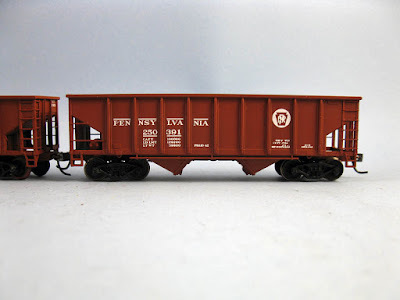 I had a pair of Walthers 2-bay ribbed hopper in Southern Pacific scheme in my pile of unused rolling stock. I'll probably never have any use for them and they were intended to be bashed as QRL&PCo coal hoppers until I found out they were unsuitable. Instead of leaving them to their sad destiny, I decided to repaint them and given them another chance. The fact they had the same number of panels than a Pennsylvania GLca hopper made them an easy job. Sure, they aren't exact replica of the prototype, but it means I can use available decals. Among improvements, I replace the oversized grabirons with very thin stripes of styrene. Modeles usually make good use of wire for that purpose, but I was a little bit lazy. Drilling thinny hole on hopper ends can be time consuming and I didn't want to put to much effort on a car that is otherwise obviously unprototypical. I think the styrene stripes are a decent compromise between accuracy and oversized details. Cars were painted with Krylon Red Oxyde primer and lettered using CDS Dry Transfer. A few minutes later, the cars were complete and ready to be weathered, which will occur when I'll resupply on Dullcote. 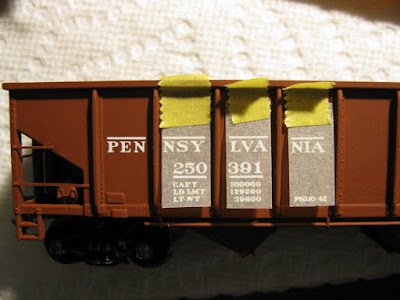 I'm actually in the process of locating old Erie Railroad decals to complete the fleet. Unfortunately, most of them are long out of production and unavailable. Sure there is Ebay, but buying decals from the States and adding the shipping cost makes it so uneconomical it makes restoring old cars a folly. I'm mainly looking for decals suitable for ARA 70T 4-bay coal hoppers, 40ft boxcars and 41ft gondolas (I have two old Roundhouse gondolas that would be very useful on the layout). From what I've seen, Champ Decals, CDS Lettering and a few others including Campbell did produce suitable sets. Hey Matt....Being a USofA'er and friends of those who DO model the Erie, I'd be happy to be your "south of the border" eBay contact...If you see something, I can place the bid for you (along with your pre-determined bidding limits) and then I can mail it to you....PayPal for the actual price and postage is then suitably arranged between us....Just a thought, I'm willing to help an NY Harbor modeler out! Thanks for your kind offer. At this point, I have almost everything I need. 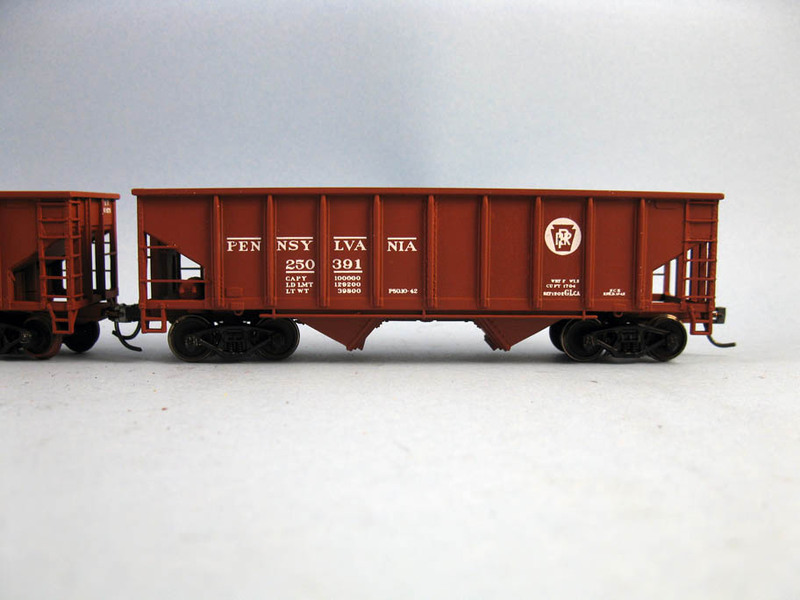 However, I'd be glad if you could ask your Erie friends if they are aware of suitable decals for ARA 4-bay hoppers. 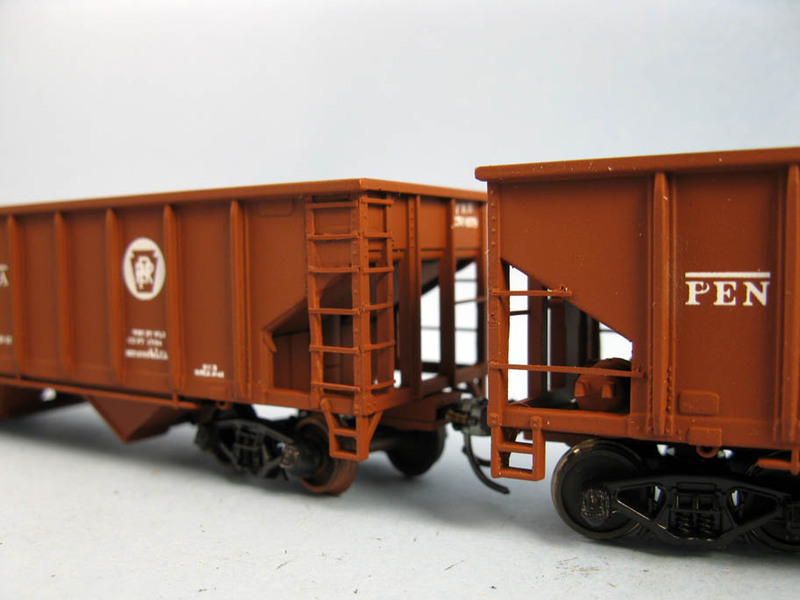 I have many of them and since Erie did have a large fleet, it woudl be nice to salvage my old but upgraded Bachmann fleet. I don't have the hoppers yet, but they would be a good set to add to the lineup to complement the Erie sets I already have. You can check back here from time to time to see when I can get the hopper decals done: www.speedwitchmedia.com. Hi Ted, it must be fate... 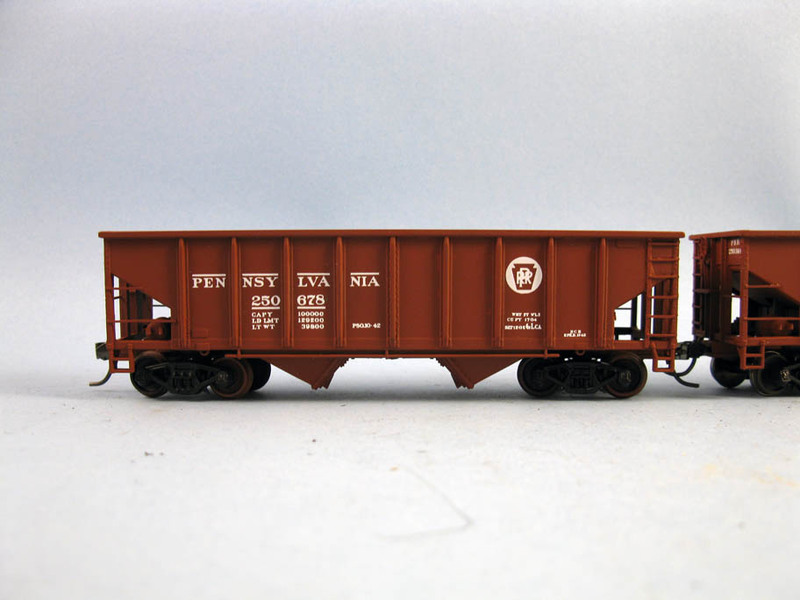 I was actually thinking about relaunching that hopper fleet project. I wasn't aware of this very useful line of decals. They open up a lot of possibility.